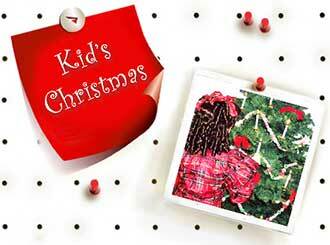 Create the magic of a Victorian Christmas tree with your children. What could be better for a true Victorian Christmas than a real Victorian Santa? 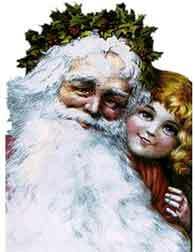 Make an authentic 19th century holiday Santa with a fabulous Victorian Santa craft plus many ornament crafts. Create the magic of a Victorian Christmas tree with your children. Download a free 1800s design for your own ornament. 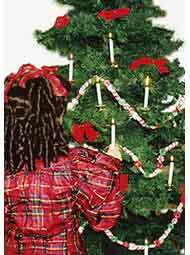 Decorate your Christmas Tree in a truly Victorian fashion, featuring a variety of holiday themes. Directions from a Victorian magazine to make 8 authentic Victorian Christmas ornaments. Toy theaters with plans and directions for your own project. Colorful lithograph to print a fun holiday activity. Follow these 1860s directions to make a truly Victorian Santa Claus. Famous Thomas Nast Santa. Print a copy for a fun holiday activity. The beginning of an annual tradition begins in the 1870s at Macy's. Charles Dickens daughters tells of spending Christmas and New Years with her father. 1881 version of Silent Night.